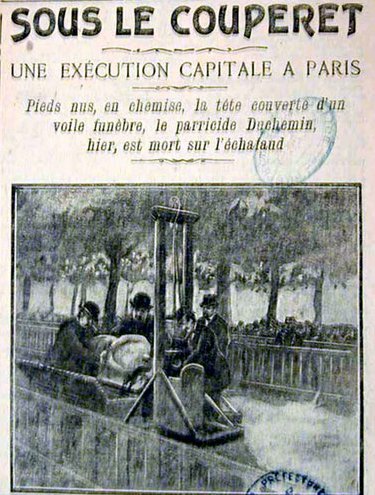 On this date in 1909, Georges-Henri Duchemin was guillotined in Paris for murdering his mother. It was the first execution in that city in a decade. An aimless gadabout, Duchemin mostly sponged off his dear mom, and the filial bond of nature proved insufficiently developed to restrain him strangling the old lady when she held out on him one time. 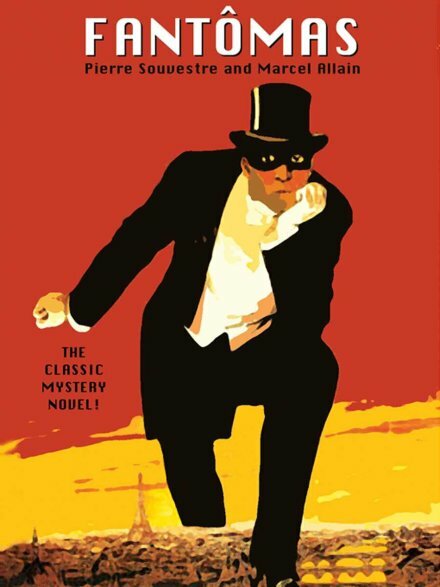 The ungrateful child made off with a couple hundred francs, but his sister knew right where to direct the police. His lawyer bid to represent the killer as unbalanced (French link; most of the material on this criminal is in French). The general public horror of parricide and the undisguisedly mercenary nature of the murder made it a no-go. 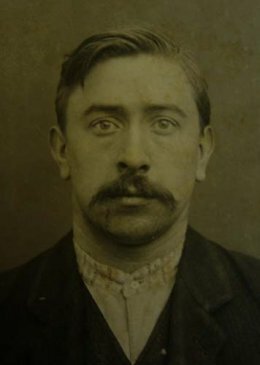 France had taken a death penalty hiatus of three-plus years from late 1905 to early 1909, under the anti-death penalty president Armand Fallieres. But even those in the first half of the decade had been elsewhere than the capital: Paris hadn’t seen the national razor shave a head since Alfred Peugnez in 1899. Le Petit Parisien provided this map to curious onlookers as part of its vast Aug. 5, 1909 coverage of Paris’s biggest crime story of the summer.